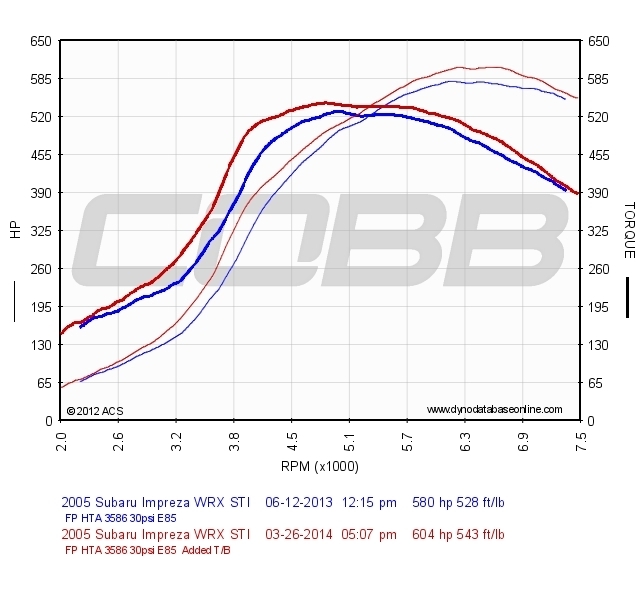 WRX / STI 75 MM Drive By Wire Throttle Body is a direct replacement of the factory unit. The throttle body is designed in such way that it will have to use stock TPS and servo motor. This Throttle Body will only accept stock TPS cover and servo motor from factory BOLT ON unit It fits 2004.5 and newer STI models with drive by wire TB. 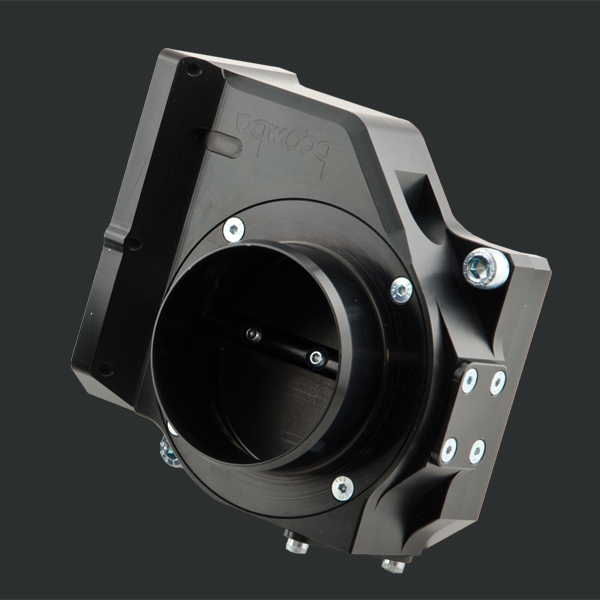 Our 75 MM throttle body comes as a kit including stock manifold adaptor plate and 60 MM hose adaptor (for those that want to use it immediately with stock intake pipes). 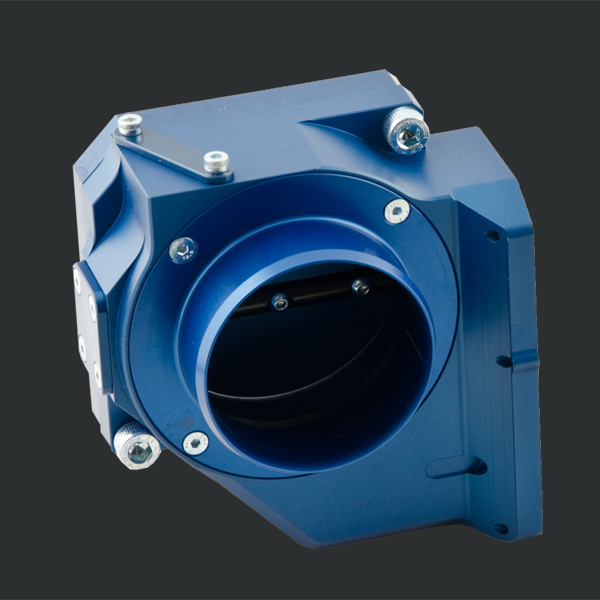 The kit also includes 75 MM hose adaptor and all mounting hardware. 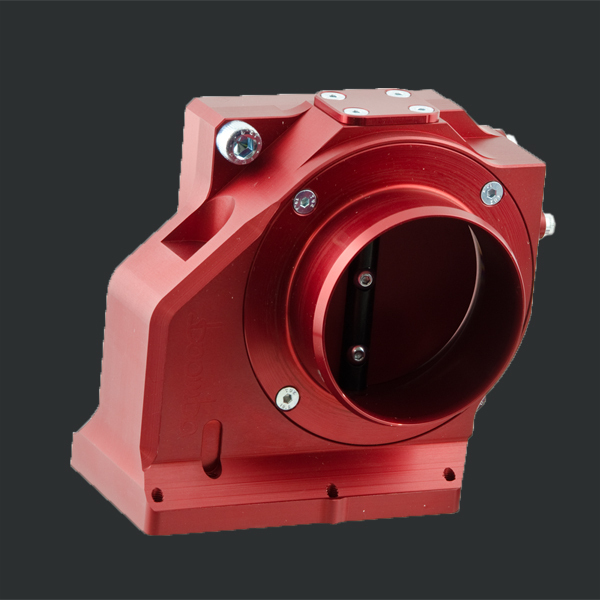 Throttle bodies are CNC machined of billet aluminum. 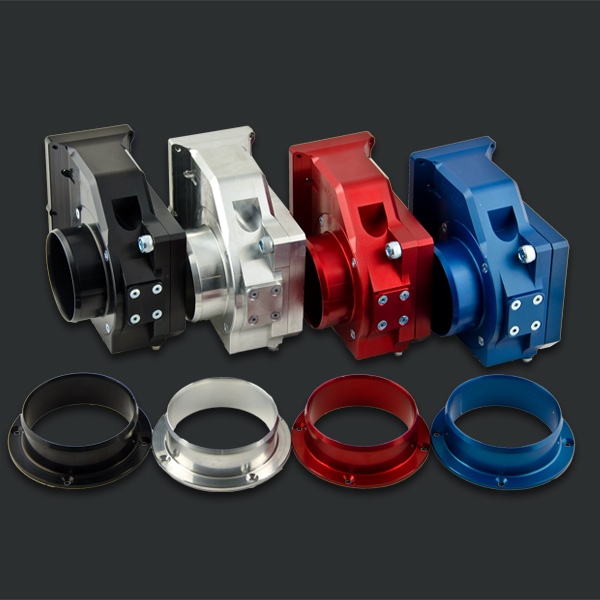 Parts are available in natural aluminum, red, blue and black anodized finishes. 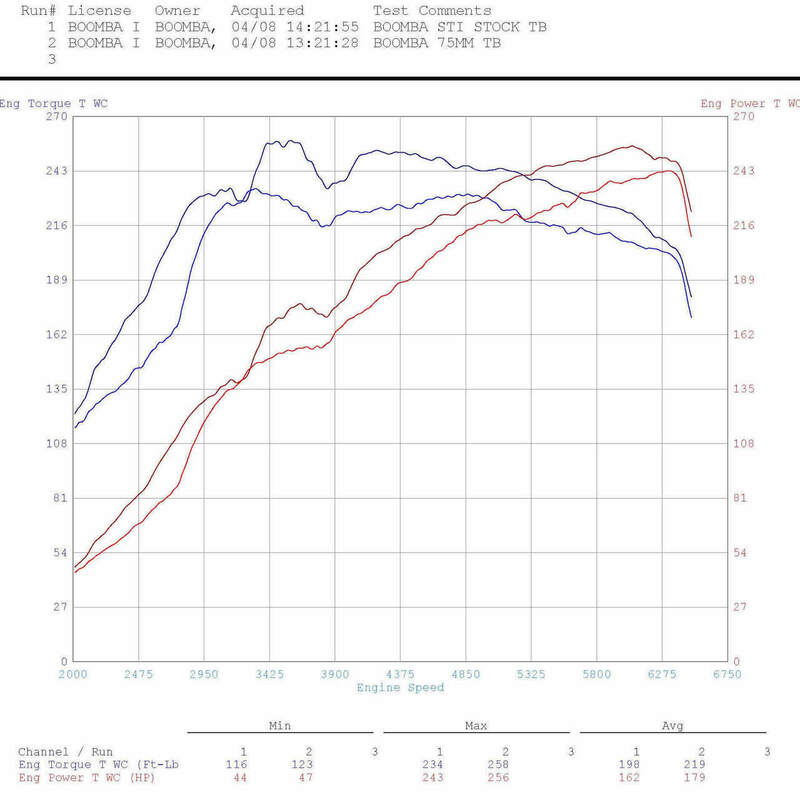 Increasing the diameter to 75 MM gives almost 56% increase in throttle cross section area over the stock throttle body. Replacing stock throttle body with our new 75 MM (even with stock pipes and turbo) will give you a few additional HPs and greatly improve engine response. 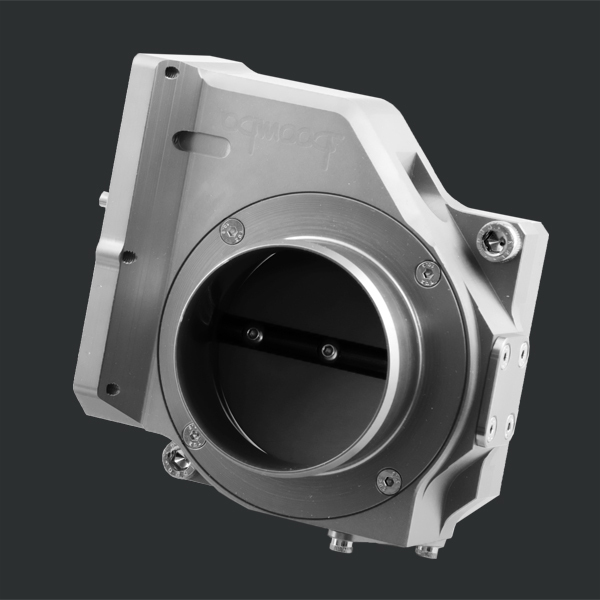 Replacing the stock throttle body with our 75 MM throttle body and replacing intake piping with larger diameter (75 MM) gives limitless possibilities of increasing engine power.